as the home of creative writing. 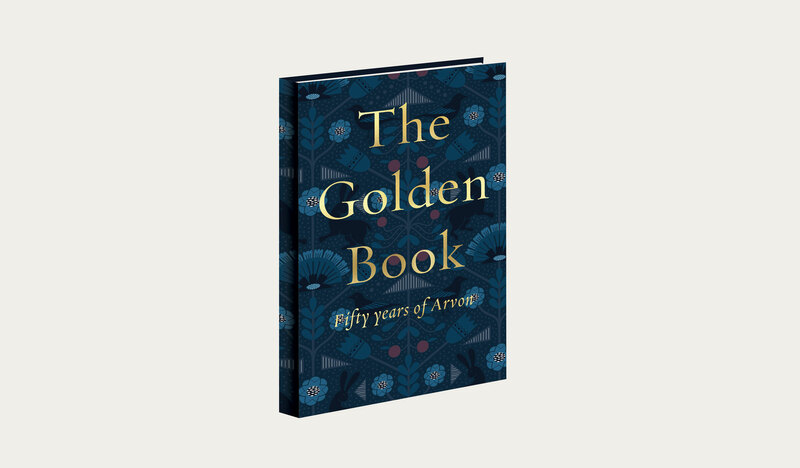 In honour of Arvon’s 50th anniversary we are proud to release The Golden Book, celebrating 50 years as the UK’s home of creative writing. This landmark anthology brings together stories, poems and memories from just a few of the thousands who have come through Arvon’s doors. Contributors include Simon Armitage, Mark Haddon, Tim Firth, Patience Agbabi, Esther Freud and David Almond. We’ll be giving a free copy to course participants who come to our centres in 2019. You can also buy the book for £10 inc postage (UK addresses only) – all proceeds go towards supporting Arvon’s charitable activities. Please contact the national office to give us your address and make payment 0207 324 2554.